Hurricane Season Started June 1; Now is the Time to Ensure You Are Storm Ready. Floridians know all too well that our state’s geographic location increases our propensity for catastrophic weather, and unfortunately, hurricanes mean more than strong winds and rain. Hurricanes also cause Florida’s property insurance marketplace to be far more complex than other states. For years, the Florida Chamber has advocated to better protect Floridians from the financial risk associated with our government-run property insurance entities. We have long-supported protecting families and businesses against “hurricane taxes” and making necessary changes to the Florida Hurricane Catastrophe Fund (Cat Fund). We will continue our efforts to reform Florida’s current property insurance market. In the meantime, we encourage you to be prepared. Take advantage of Florida’s hurricane preparedness sales tax holiday, June 1-7, to purchase the items that will help protect your family, home and property. Click here for a list of qualifying items. 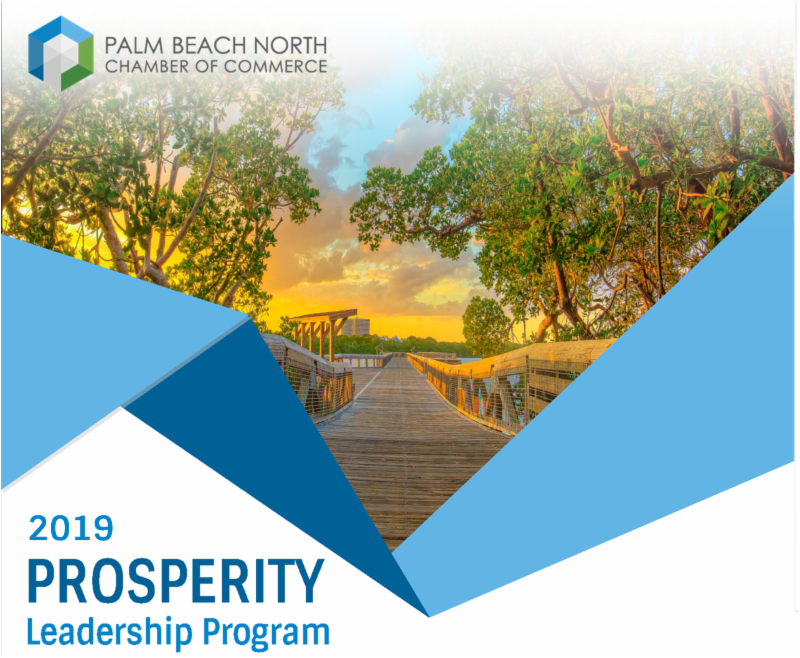 If you are interested in becoming a member of the 2019 Prosperity Leadership Program, please contact Whitney West at Whitney@PBNChamber.com or 561-746-7111. The mission of this leadership program is to educate and inform participants about the distinct characteristics that make Palm Beach North Florida’s Prosperity Coast. The program will focus on a prosperous economy, high quality of life, smart and connected region, and regional leadership within the 10 municipalities that make up Palm Beach North. You will attend presentations given by key community leaders and learn more about the diverse civic, economic and social environments within each area. Our goal is to provide a platform where current leaders of our business community will have access to elected officials, top executives and leaders, while becoming immersed, engaged and informed about our region. Members will become educated on the history of each community, current trends and issues in our economy, as well as the growth and development strategies of each city. Participants will be issued a challenge during their initiation, which they will work collaboratively on addressing throughout the program. The class will then present their solution(s) to the Economic Development Committee and receive feedback regarding the viability of their proposal(s) from private and public stakeholders. A ribbon cutting is the ceremonial opening of a brand-new or newly-renovated/relocated business that has opened within the last six months with a photograph in the Chamber’s weekly e-newsletter. It can inaugurate an organization’s first day of business or it can take place weeks after the business’ soft opening. Ribbon-Cuttings will be held at the Host’s place of business. 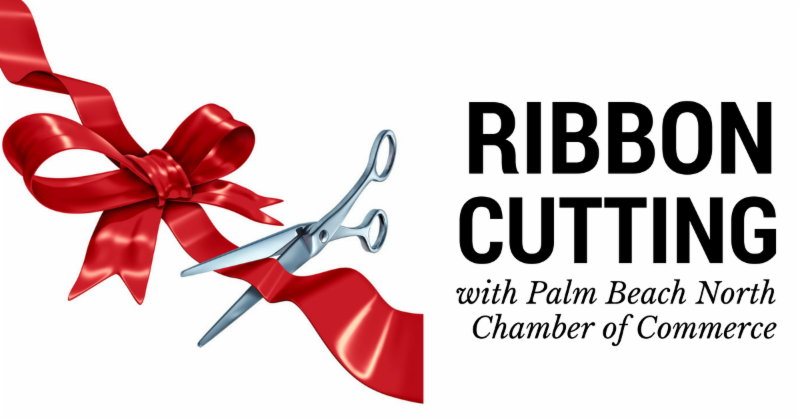 Members or Non-Members wishing to hold a Chamber Ribbon-Cutting must submit the online application here. Rick Hoagland, a CPA with Caler, Donten, Levine, Cohen, Porter & Veil (CDL), joined the board of directors of the Edna W. Runner Tutorial Center in Jupiter. Hoagland is the Director of Business Valuation and Ligation Support at CDL. He has been with the Firm since June 2013. Healthier Jupiter is hosting a Walk & Talk event at Jonathan Dickinson State Park on Saturday, June 9 at 8:00 a.m. Admission is FREE, but you must RSVP by June 7 Online to have entry fee waived. Register online here or call 561-263-7579. Tuesday, June 12 from 5-8 pm at Homewood Suites in Donald Ross Village. The business expo will feature 30 businesses representing a variety of industries. Raffles, Door Prizes, Entertainment! $5 admission includes appetizers and 1 drink ticket. Proceeds to benefit Meals on Wheels. Thursday, June 14 from 5:30 to 7:00 p.m. at Styled Ice, INC (1212 53rd St., Mangonia Park). Market your Service and Meet your Mangonia Park Neighboring Businesses! Call Ken Metcalf at (561) 848-1235 for more information. It’s Roger Dean Chevrolet Stadium‘s annual July 3rd & 4th Independence Holiday Fireworks events! Time to get your TICKETS. In seek of your fine support we are extending a deeply discounted GROUP Rate of $7 a ticket (usually $10 each). Ordering in advance will not only secure your select night of RED, White & BOOM… but a great seat for a night of Fun, Baseball, community and Fireworks! Call 561.630.1828 or visit RogerDeanChevroletStadium.com for tickets. This entry was posted in ACERAGE, BUSINESS AND FINANCE, DEMOCRATIC NEWS, FASHION FOOD AND ENTERTAINMENT, HEALTH HOSPITALS AND SCIENCE, IBIS, LAKE PARK, MILITARY AND VA, NORTH PALM BEACH, PAGE FOR WOMEN, PALM BEACH, PALM BEACH GARDENS, PALM BEACH SHORES, POLICE AND FIRE, Port of Palm Beach District, PORT OF PALM BEACH NEWS, REPUBLICAN NEWS, RIVIERA BEACH, ROYAL PALM BEACH, SINGER ISLAND, TEA AND OTHER POLITICAL PARTY NEWS, WELLINGTON, WEST PALM BEACH, World News and tagged ABC, ask, Bing, CBS, CBS-12, Democrats, Facebook, google, instagram, Jews, Judeo-Christians, Lake Park, Loxahatchee, Mangonia, microsoft, NBC, news, North Palm Beach, NORTH PALM BEACH CHAMBER OF COMMERCE, Palm Beach, Palm Beach County, Palm Beach Gardens, Palm Beach Post, Palm Beach Shores, palmbeachpost, Political news, Por, Port, port of palm beach, Port of Palm Beach District, Port of Palm Beach Post, Port of Plam Beach, portofpalmbeach, portofpalmbeachpost, Republican, Riviera Beach, Royal Palm Beach, Singer Island, Tea Party, twitter, Wellington, West Palm Beach, World News, yahoo by GEORGE12. Bookmark the permalink.